A Forest Park, GA man was fatally injured last week while trying to dislodge a drone that had become entangled in power lines. The Forest Park Police report that 37-year-old Ruff Fitzgerald Teasley, 37, was using a pole to attempt to dislodge the aircraft from the power lines when the pole touched one of the wires, according to the Clayton News-Daily newspaper. First responders attempted to revive him until Forest Park Rescue arrived to transport him to a hospital, but he did not regain consciousness. Teasley's 29-year-old brother Calvin told police he had been flying the drone when it got stuck, and he had been trying to get it down when his brother came home from work. The older man tried to help him, and the pole they were using contacted the power line. Calvin said the shock knocked both to the ground. 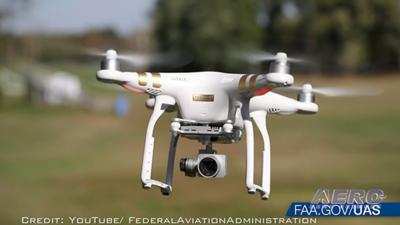 The drone was one of 34 registered with the FAA in Clayton County, GA. FAA records indicate that the drone in use was not registered with the agency. The site where the accident occurred is also within the restricted area around Hartsfield-Jackson Atlanta International Airport, according to the U.S. Airspace Map.